Exhibitors of the 31st Annual Marine Law Enforcement Conference will not only be able to showcase their solutions to marine law enforcement professionals, but they will also be included in the conference sessions and networking events. Full participation in the conference proceedings will allow exhibitors to forge and strengthen the relationships with conference attendees to collaborate and share information. 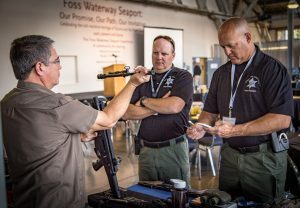 The Marine Law Enforcement Conference is a unique annual opportunity to spend two days exclusively with representatives of all marine law enforcement units across the state.